Karl reMarks: Countdown to the return of Syrian troops? Jumblatt says so. Countdown to the return of Syrian troops? Jumblatt says so. 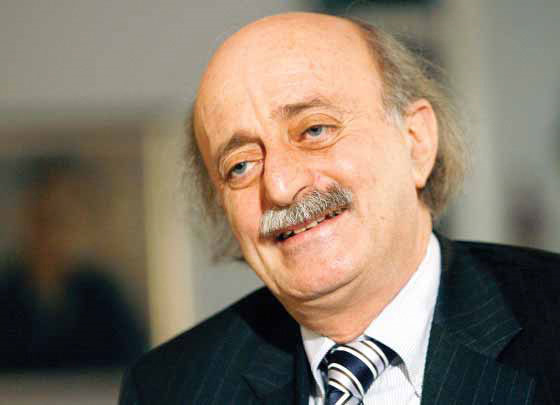 “We’re heading toward civil war if things remain as they are,” Jumblatt told me this week. “What about the Syrians?” I asked. “We should stop this fixation on the Syrians. They can’t do anything if the situation begins deteriorating; they don’t have troops on the ground,” he replied. “But they would like to,” I said. Like with anything else that Jumblatt says, there are several layers and interpretations. This could be just a scare tactic or his way of showing genuine concern over the prospect of a civil war. Quite who will fight the civil war against Hezbollah is not clear to me, despite the ridiculous news stories about the Lebanese Forces and other parties acquiring military capabilities. Any repeat of the May 7, 2008 events is likely to see a quick Hezbollah victory. But then what? It will be a victory that the party does not want or need. Hezbollah is more careful than anyone else not to find itself in this position again. The return of Syrian patronage will avoid the prospect of such an escalation, but the physical return of the troops will not be required this time.